Primus laundry equipment recently launched a highly effective and environmentally friendly alternative to conventional dry clean processes – Softwash®. Softwash delivers a total cleaning solution that is easier to work with than perc and achieves far superior results on a wider range of stains and fabrics, even surpassing other wet clean options. This makes Softwash a cost-effective setup for any size cleaning operation. The system can produce a 20 to 30 percent cost reduction compared to conventional dry clean methods, leading to overall improved profitability for the business. The total solution produces unmatched advantages, such as faster processing speeds (typically under an hour) for quick turnaround and improved customer service; optimized mechanical cleaning action for quality results; optimum spin action that’s programmed to protect specific fabrics; color and texture restoration; excellent oil stain removal; no shrinkage or distortion to the garment; no need to hang to dry, which is required with other wet clean systems; and exceptional flexibility to care for all dry cleanable fabrics. “Dry cleaners will appreciate the simple system solution Primus offers with Softwash,” Schram said, adding that the system has already achieved widespread success outside of North America. 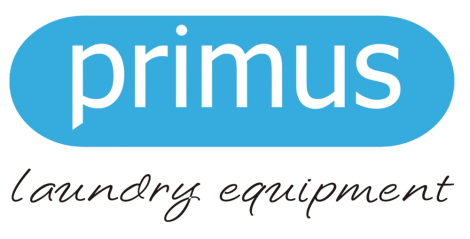 Primus provides equipment, training, financing, detergents and spotting agents, communications and marketing pieces to promote the environmentally friendly alternative to dry cleaning and industry-leading service and support.